The Rivers State Governor Inyesom Wike will host this year’s edition of the All Nigeria Editors’ Conference (ANEC 2017) which holds in Port Harcourt from Wednesday, September 20 to Sunday, September 24, reports ITRealms. ANEC is the annual flagship conference of the Nigerian Guild of Editors (NGE). This year's event theme as gathered by ITRealms is "Nigerian Media - Balancing Professionalism, Advocacy and Business" will also have an extraordinary convention to adopt the reviewed NGE constitution. The Nigeria Guild of Editors has in recent years dedicated its annual conference to fostering and deepening discourses on national issues. This year, the Conference is focusing on the media as a major stakeholder in the nation’s democratic project. Now in its 13th year, this is the second time that ANEC will focus solely on the media after its first edition held in 2004 in Ada, Osun State, with the support of the government of the then Governor Olagunsoye Oyinlola. The theme of the 2004 conference was: Ethics, Professionalism and the Nigerian Editor. According to Egbemode, the choice of this year’s theme was a response to popular demand by members of the Guild on the need for the Guild to discuss the myriad challenges confronting the journalism profession and proffer lasting solution to them. The prevailing economic downturn has had a negative impact on the media leading to low revenue receipts, job losses with several media houses either extinct or on the brink of collapse. There is also the issue of safety of journalists. In recent time, there have been cases of impunity against journalists who were either harassed or killed in the course of discharging their constitutional duty which is to uphold the responsibility and accountability of the government to the people. All of this has necessitated the theme of this year’s ANEC which will be attended by no fewer than 300 Nigerian editors from the print, electronic and online platforms, media entrepreneurs, sundry public officers and administrators. Governor Wike said that the conference would afford the state the opportunity to showcase its investment potential as well as consolidate its partnership with the media for sustainable development of the state. 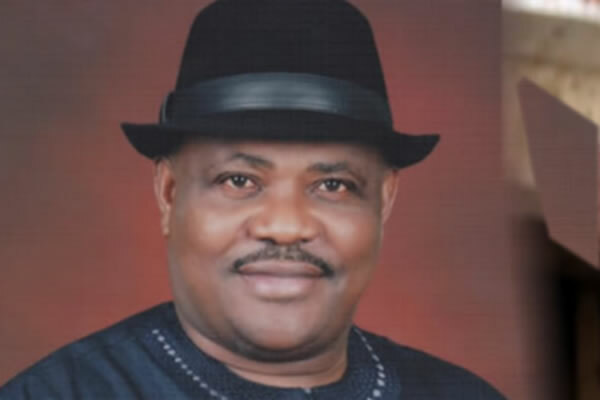 Wike noted that the state is hosting several national and international events as a demonstration of the fact that Rivers State is an investors’ destination, stressing that the state is peaceful and the people hospitable. “Hosting this year’s conference will also make the editors witness first-hand the development projects and programmes of my administration which has improved the living standard of the people”, the Governor said. ANEC is the largest gathering of Nigerian editors. It is a watering hole of ideas that has shaped government policies and programmes over the years. The conference also attracts both local and foreign speakers as well as editors from organizations such as the West African Editors Forum (WAEF), the African Editors Forum (TAEF), the World Editors Forum (WEF), the World Association of Newspapers (WAN) and the Global Editors Network (GEN). TOE's Observatory: Don't dare me!